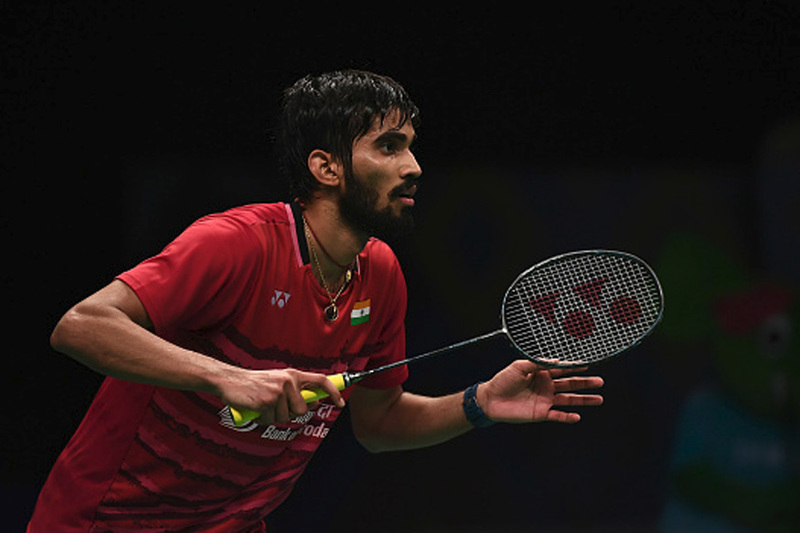 Kidambi Srikanth sealed his second title in three weeks as he defeated Olympic Champion Chen Long 22-20, 21-16 in the final of the Australian Open Super Series in Sydney on Saturday. Srikanth dominated right from the start, and it took strong defense from Chen Long to stay alive in the game. The Indian was moving like a ballet dancer on the court, covering every inch of it with his quick movement. He led 11-9 at the mid-way stage in the first game. Chen Long then fought back, showing why he is the Olympic gold medallist as he pulled the game back to 14-14. With both players giving their all, it needed a tie breaker to separate the two, and it was Srikanth who showed his mental toughness and won the first game 22-20 after capitalising on his second game point. Srikanth moved up a couple of gears in the second game, as he showed aggressive badminton showing the range of smashes in his arsenal - one which was recorded at the speed of 331 kmph. He took an early 5-2 lead, but Chen Long again showed great fight to get back in the game. Srikanth led 11-9 at the mid-way point in the second game, and came out all guns blazing after hearing coach Mulyo Handoyo's strong words. With the crowd strongly behind Srikanth, there was no holding back the Indian as he went onto win 21-16. This is his fourth Super Series title. Current time: 04-25-2019, 03:38 AM Powered By MyBB, © 2002-2019 MyBB Group.